With Moviesherlock Pro and cool Video Capture option you can download High Resolution HQ and High Definition (HD) videos off Vimeo. Easily record videos from Vimeo using Mac. You can download almost any video from Vimeo with only a few clicks. Just enable MovieSherlock Pro Video Capture feature and play Vimeo video. Now, MovieSherlock Pro already begun download of it. Its extrimely easy. How Download and Save videos from Vimeo (http://vimeo.com). http://vimeo.com - High Quality videos all over the world. Video for those who cares, Music video, video school, business videos. 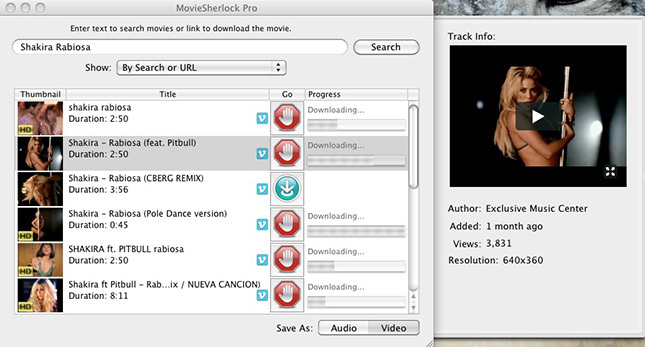 Record Vimeo on mac using MovieSherlock Pro.